So in the CNC machine tools are usually arranged more complex processes, even in the ordinary machine is difficult to complete the process. The schedule is more detailed. This is because in the ordinary machine tool processing technology do not have to consider the problem, such as the process of the work schedule, the knife point, tool change point and the determination of processing routes and other issues in the preparation of CNC machine tool processing technology can not be ignored. Rely on procedures to complete all the process. So the production people will use many types of tooling in prototype manufacturing. CNC machining program is a CNC machine tool instructions documents. NC machine controlled by the program instructions, the whole process of processing are automatically according to the program instructions. CNC machining process not only includes the parts of the process, but also includes the necessary process to complete the process parameters, such as cutting the amount of feed routes, tool size number and machine movement process. High efficiency CNC machining, high precision machining, low labor intensity, strong adaptability to different parts. (1) High degree of automation, with high production efficiency. In addition to hand-assembled blanks, the rest of the entire process can be automatically completed by the CNC machine tools. If the automatic loading and unloading means, it is unmanned control of the basic components of the factory. CNC machining to reduce the operator’s labor intensity, improve the working conditions; save the crossed, multiple clamping positioning, testing and other operations and auxiliary operations, effectively improve the production efficiency. The engineering department needs to also consider how to split the part into several pieces when it’s ready for manufacturing big plastic model prototype. Because it can not be made as a single one. (2) To improve productivity. CNC machine tools can shorten the production preparation time and increase the ratio of cutting time. The best cutting parameters and the best knife path, shorten the processing time, thereby improving productivity. (3) The adaptability of the object to be processed. Change the processing object, in addition to replace the tool and solve the blank clamping method, just re-programming can be, do not need any other complex adjustments, thus shortening the production preparation cycle. (4) High precision, stable quality. The machining dimensional accuracy is between 0.005 and 0.01 mm, which is not affected by the complexity of the part. As most of the operation by the machine automatically completed, thus eliminating the human error, improve the consistency of the size of bulk parts, while precision control of the machine also uses a position detection device, more improved CNC machining accuracy. (5) Easy to establish communication with the computer contact, easy to achieve group control. As the machine uses digital information control, easy to connect with the computer-aided design system, the formation of CAD / CAM integrated system, and can establish the link between the machine, easy to achieve group control. CNC machining, also known as NC (N handsome erb) processing, is a numerical and symbolic information, control the machine to achieve automatic operation. CNC machining has experienced half a century of development has become applied to the contemporary manufacturing of advanced manufacturing technology. 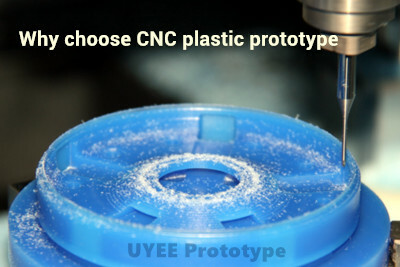 The biggest feature of CNC machining has two points: First, can greatly improve the accuracy, including the processing of quality accuracy and processing time error accuracy; Second, the processing quality of repeatability, can stabilize the processing quality, to maintain the quality of the same parts. In other words, the quality of processing parts and processing time is determined by the NC program rather than by the machine operator to decide.